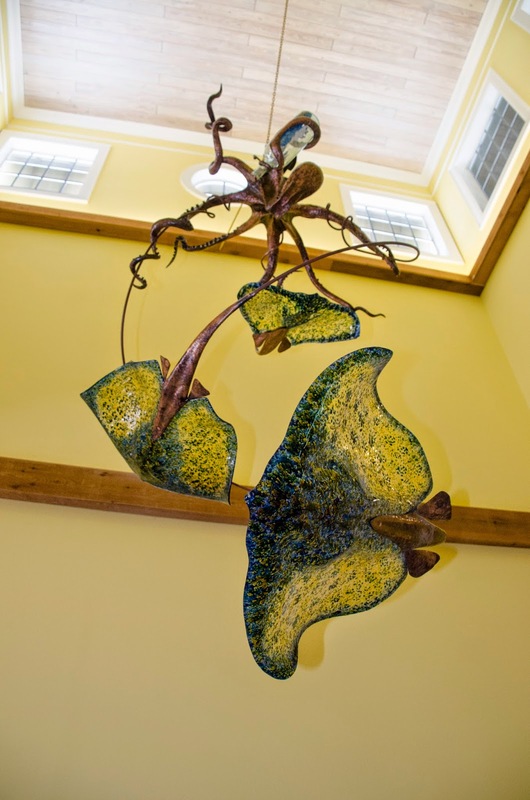 Stan Harmon Glass Art & Sculpture: Octopus and Stingrays found new amazing home. Now hanging in sunny Florida. Octopus and Stingrays found new amazing home. Now hanging in sunny Florida. 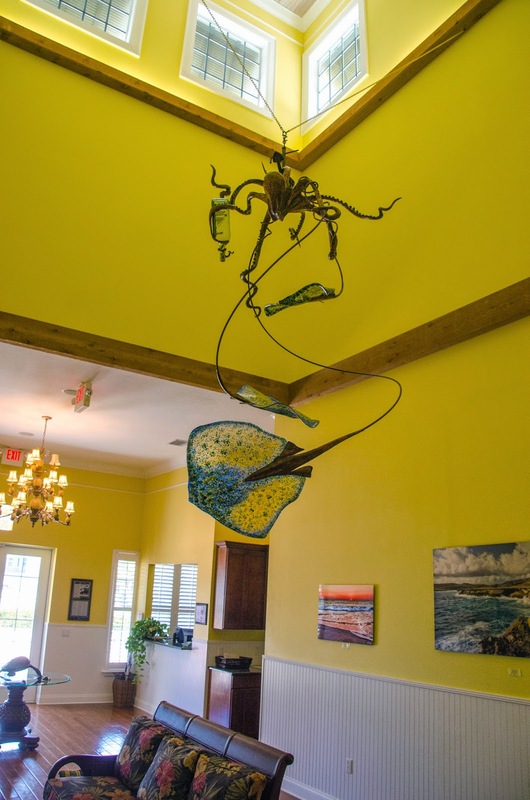 This piece now hangs in a wonderful setting in Satellite Beach, Florida. 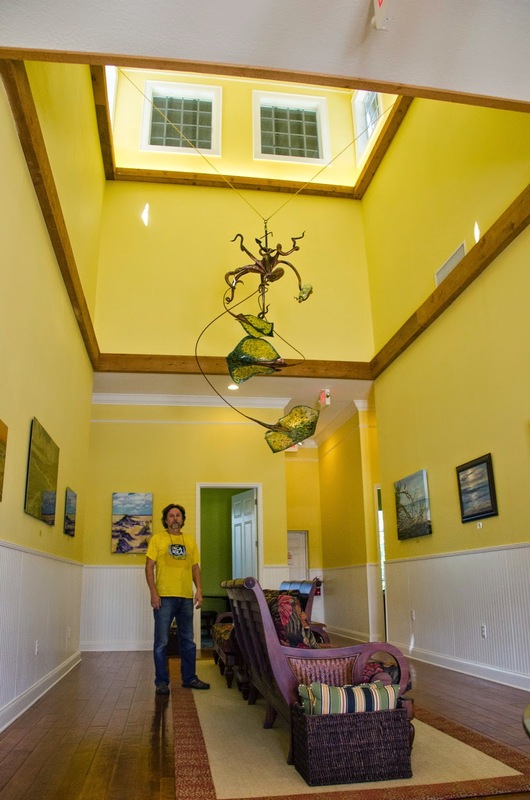 The ceiling is an amazing 32 ft. high which proved problematic in hanging it attractively. The first floor is 15 ft. tall...with 8 1/2 ft doors.....made for basketball players maybe?!? 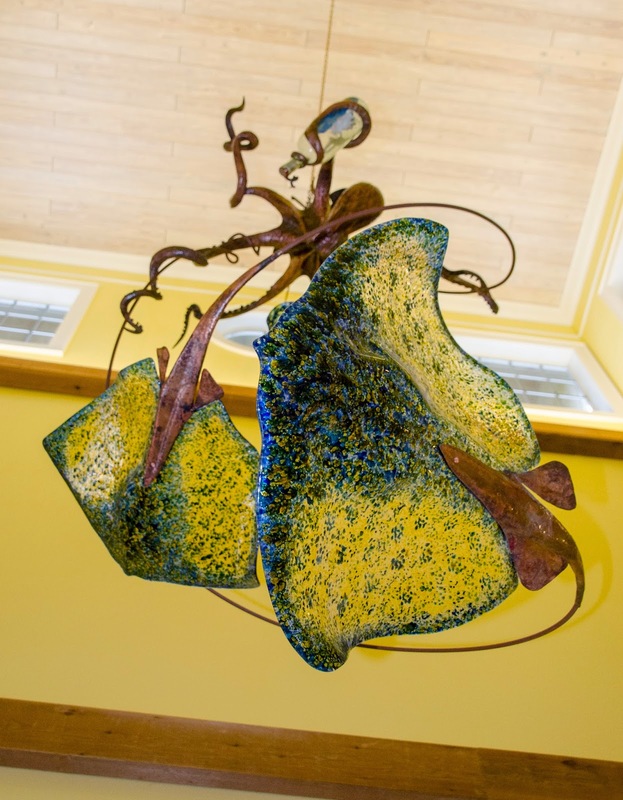 Flat copper sheet was hand formed to create the octopus and tails for the stingrays. 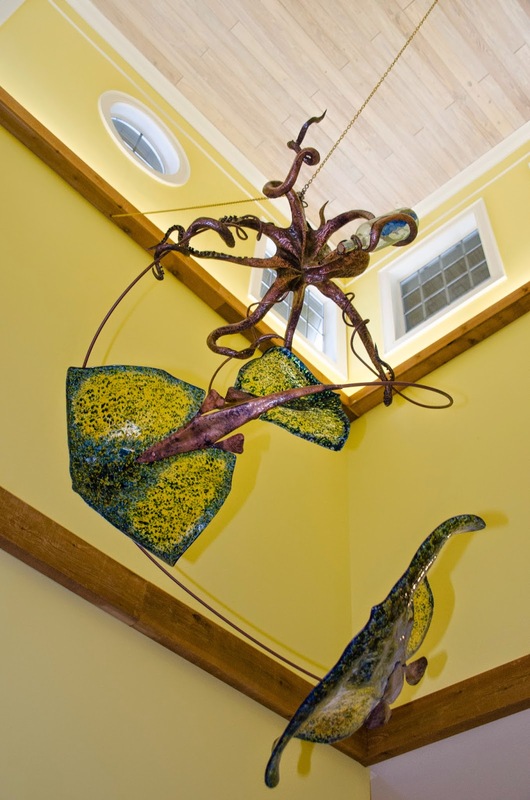 The rays were created by fusing crushed colored glass onto a clear stingray shaped background glass sheet in a kiln at 1500 degrees. Sometimes several firings are required to achieve the desired coloring. Then the flat stingray glass blank is placed back in the kiln and balanced on a hand formed steel stingray mold which I created in different sizes and reheated to 1250 degrees. This lower heat causes the glass to relax and slump onto the steel form but not enough to get to a liquid state and drip off the mold. The "ship in the bottle is real, made the traditional way by an artist from Charlotte, NC using wood from the real ship depicted in the bottle.